Pilots operating at 20 U.S. airports must be aware of a new, red-light system rolled out to improve runway safety and mitigate runway incursions. 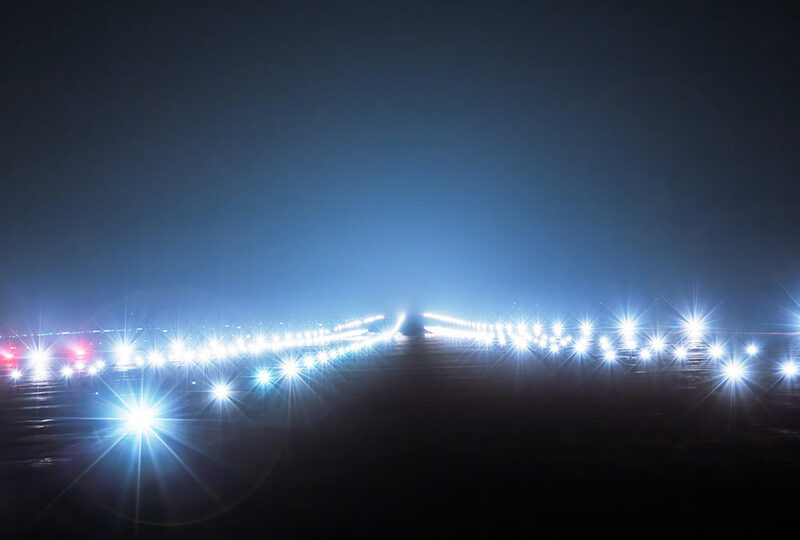 Baltimore Washington International Thurgood Marshall (BWI) and San Francisco International (SFO) are the latest airports to implement runway status lights (RWSLs). “RWSLs are embedded in the pavement of runways and taxiways and provide a second layer of protection to alert pilots when a runway is unsafe to enter or cross or when it is not safe to initiate a take-off roll,” said Jim Fee, FAA’s manager of runway safety. Runway entrance lights are located at runway entrances to indicate that a runway is not safe to enter or cross, while takeoff hold lights (THL) are located on runway centerlines and indicate that it is not safe to takeoff. It is critical to note that from their vantage point in the tower, air traffic controllers do not see the lights as pilots or ground vehicle operators do. Although it may seem awkward to question a controller, pilots must obey red RWSLs, even if their actions contradict ATC instructions. RWSLs were featured in an NBAA Flight Plan podcast, which highlighted an incident at McCarran International Airport (LAS) where one aircraft was cleared for takeoff by a controller, but due to incorrect coordination and loss of situational awareness, a second controller cleared another aircraft – a business jet – for takeoff on a conflicting runway. The THLs illuminated red to the business aircraft, however it still proceeded to takeoff, resulting in a runway incursion. The business aircraft pilot later confirmed that he saw the red RWSL, but incorrectly assumed the controller did as well and followed the takeoff clearance. The system successfully prevented a runway incursion in another recent event where an aircraft crossed a runway without proper clearance. Another pilot saw red lights and stopped, told ATC the RWSLs were red and asked for additional instructions before proceeding.